Restore to the original location. To restore a database back to the original location. 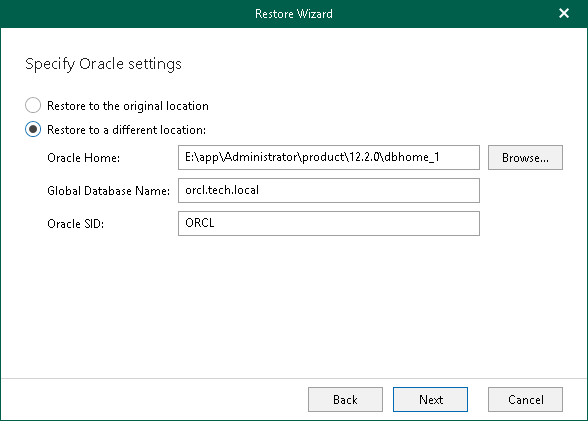 Specify Oracle Home, Global Database Name and Oracle SID. To locate Oracle Home folder, click Browse and select a folder you want to use. You will be asked to provide a password to access target Oracle Home folder if required. Applicable to Oracle 12c and higher.